Hungarian Prime Minister Viktor Orbán was projected to win a fourth consecutive term Sunday as his Fidesz party won 133 out of 199 Parliament seats in nationwide elections. Hungarian voters handed a super majority to Orbán, who campaigned on a platform that was skeptical of the European Union and opposed to immigration. On thousands of billboards across the country, the Fidesz party put up a campaign ad that included a long line of migrants with a picture of a large "STOP" sign, reinforcing a major issue of concern for voters and highlighting the party's hardline stance against more open immigration policies advocated by some EU leaders. "We scored a decisive victory," Orbán told his supporters. "We have received an opportunity, created an opportunity to be able to defend Hungary." The decisive win was seen as a blow to Hungary's other parties, leading to the resignations of the chairman of the far-right Jobbik party, as well as the president of the Socialist party. 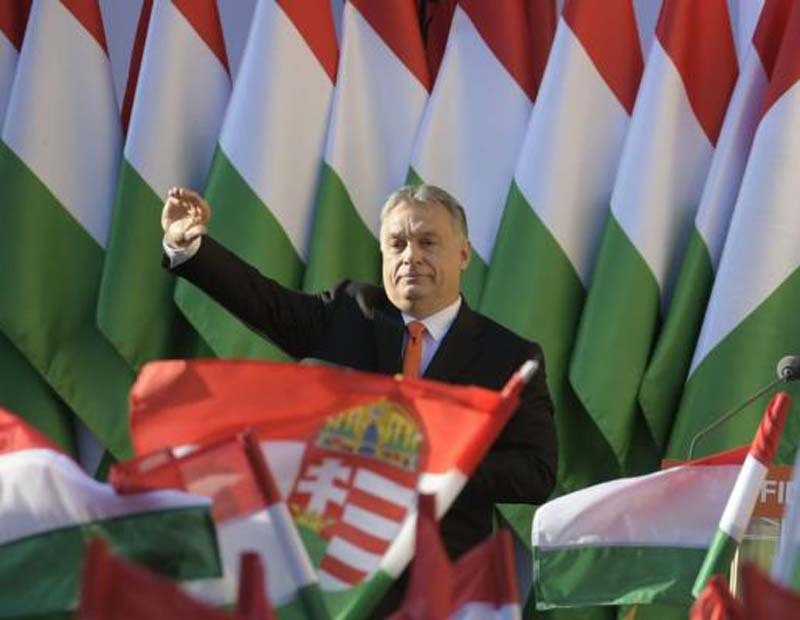 Orbán and Fidesz's victory was praised by right-wing leaders across Europe, including the France's Marine Le Pen and Netherlands' Geert Wilders. Meanwhile, Orbán's opponents fear his win will put too much power in the hands of a leader who they accuse of trying to undermine democratic institutions.